EOS Future Design & EOS Sustainable Systems Ltd design and develop farm-based anaerobic digesters (ADs) in Ireland. Our business model is that of a linked group of one medium sized Hub located near a village or town with 5-10 smaller rural Satellite ADs that co-digest farm wastes such as slurry and spoilt silage with bio-waste such as food waste from catering businesses. The farm waste is supplied by nearby farmers who receive pasteurised, certified digestate in return. This digestate is separated into a liquid fertilizer and fibre soil conditioner and can be tailored for particular soil and crop needs. The methane produced by the digestion process generates electricity which is fed into the grid. The heat co-generated is used in the biowaste pasteurisation process and in agricultural heating, cleaning, sterilisation, horticulture and food preservation. We are currently actively developing two Hub sites, one in County Offaly and one in County Meath. Planning permission has been already been obtained for a satellite AD in County Westmeath. Our business structure comprises EOS Sustainable Systems as developer and operator with local farmer and private investors in a Farm Partnership. 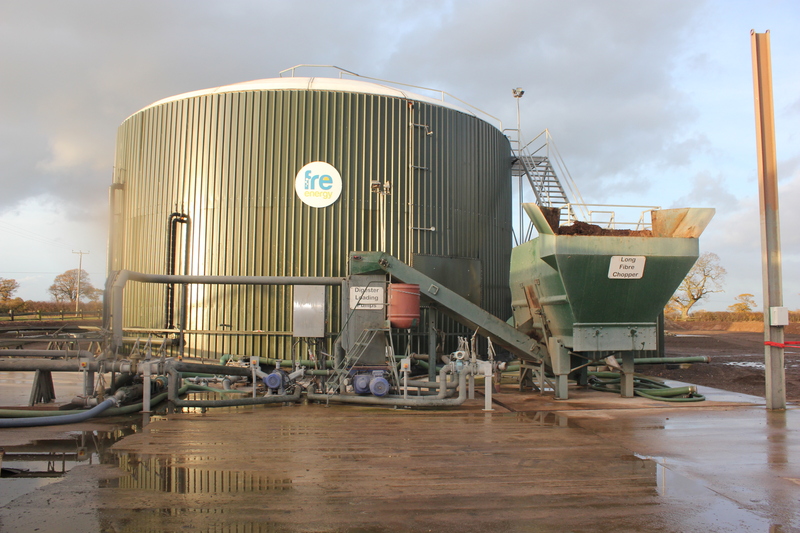 Technology supplier is Fre-Energy based in Wales UK which has many years of successfully operating farm-based ADs in the UK.